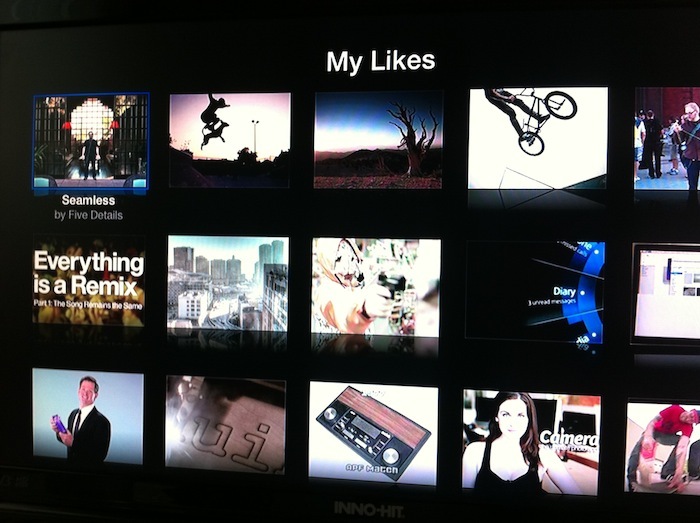 Apple has just released a new version of iOS for the Apple TV second-generation -- iOS 4.3 with build number 8F455. 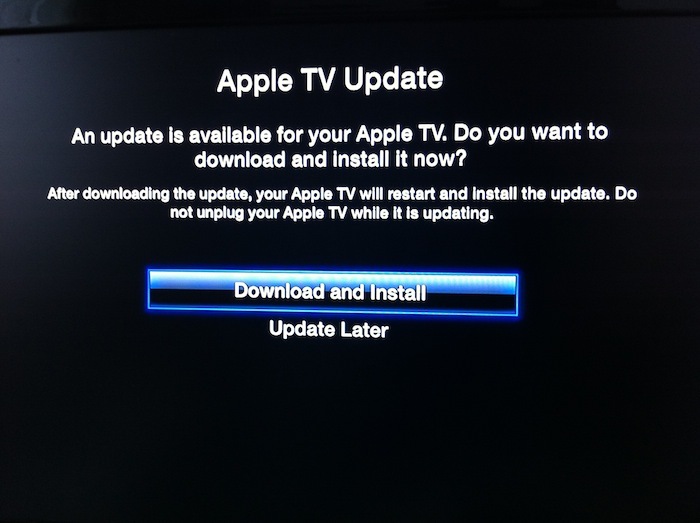 Whilst there is no official changelog for the update yet, a series of tweets from Daring Fireball's John Gruber suggests iOS 4.3 brings the possibility of streaming purchased TV Shows, including all the shows you've already bought in iTunes. Since the introduction of iCloud at the WWDC in June, Apple rolled out new features in iTunes to let users re-download every single purchase they made with their Apple IDs -- this applied to music, apps, and books. 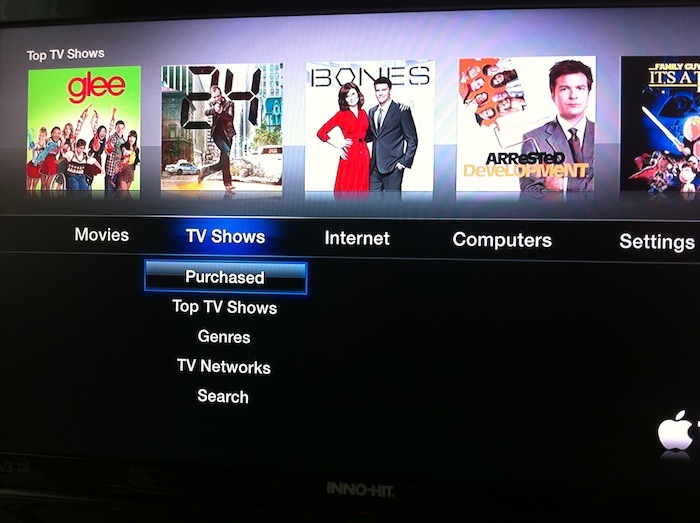 With a new tab in the same Purchased section, Apple now allows you to re-watch TV Shows you've bought through iTunes. The "Purchased" option in iTunes was announced alongside iCloud (which will launch this Fall) and the broader iTunes in the Cloud initiative -- in spite of iCloud still being a "beta" for developers, every Mac, iPad, iPhone and Apple TV can benefit from these re-download functionalities now. 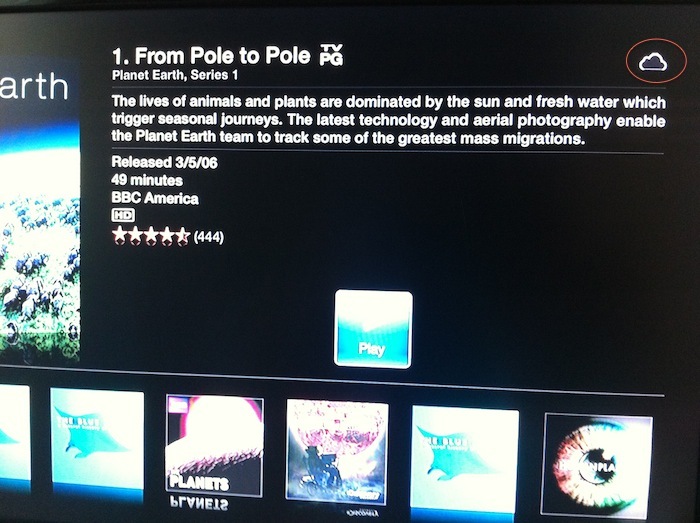 In other words, Apple just rolled out a cloud-based storage locker for TV shows. 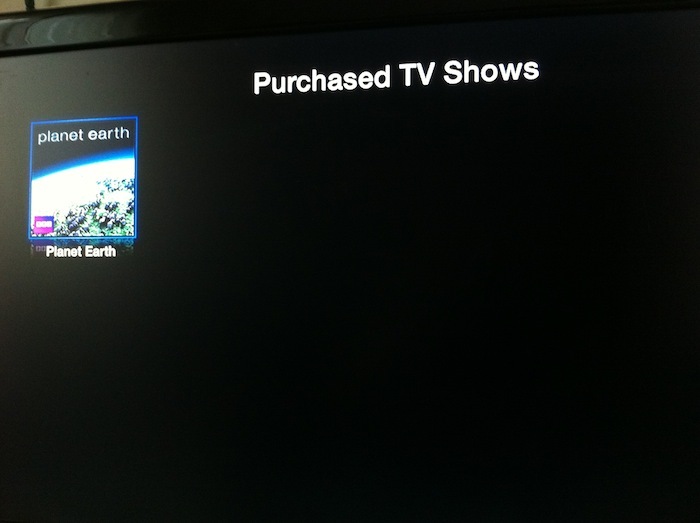 It’s definitely not available for all shows, or, if it is, Apple hasn’t finished rolling it out yet — I’ve purchased all four seasons ofMad Men via iTunes and none of them appear in my account. Notification of an additional type of previously-purchased content that may be subsequently downloaded to certain computers and devices as an accommodation to you, subject to existing association rules; and that such content may be played back on certain devices that are not subject to existing association rules, with limitations. 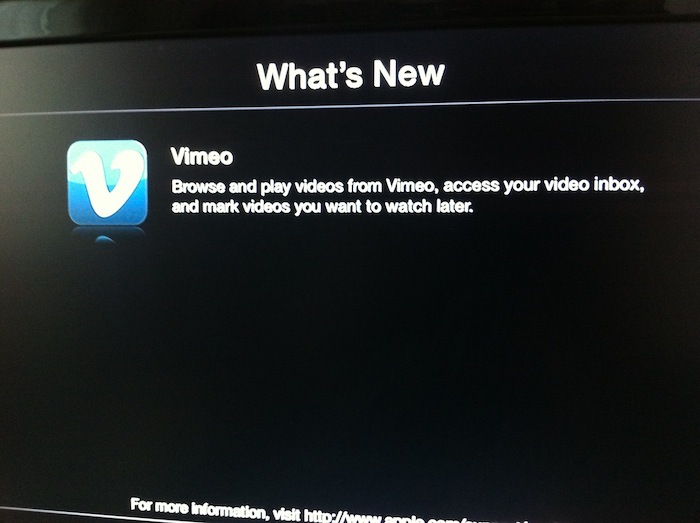 The update is also expected to bring Vimeo integration -- the Apple TV had native YouTube access since its first version last year. 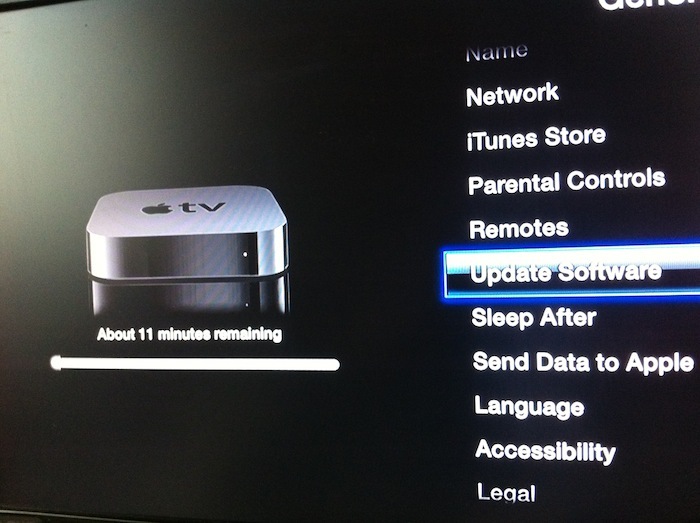 The last update for the Apple TV 2nd-gen was iOS 4.2.2, released back in May. 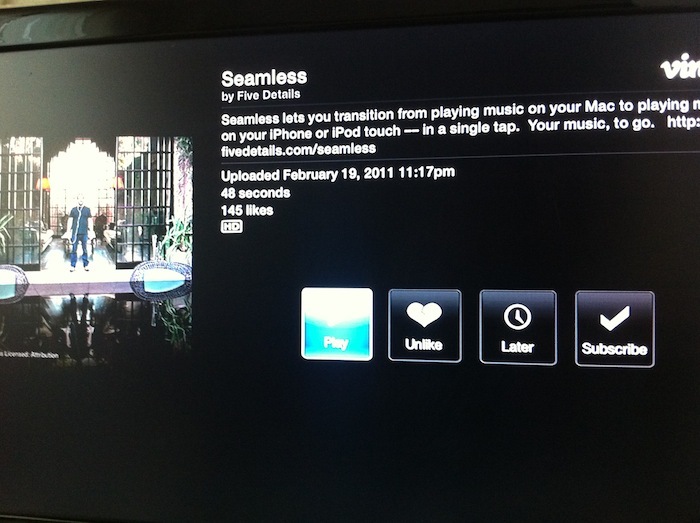 Furthermore, MacRumors indicates the new iOS 4.3 for Apple TV brings support for YouTube Playlists, but the TV Show streaming functionality might be US-only for now. You can download the updated firmware here. 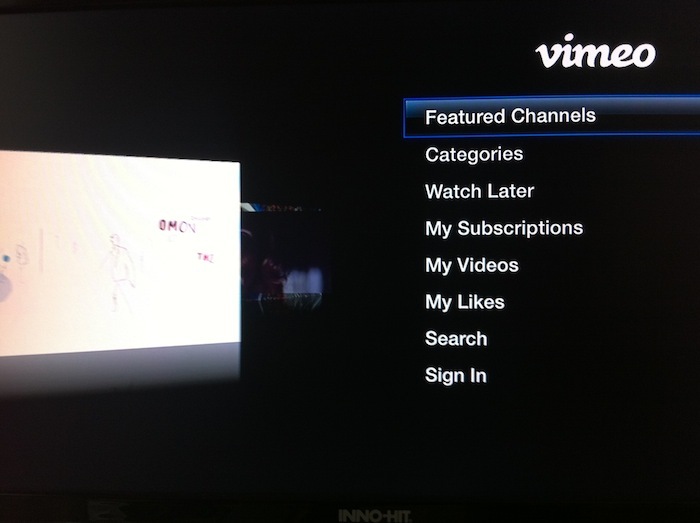 Update: We've snapped some photos of what the new features look like on the updated Apple TV. 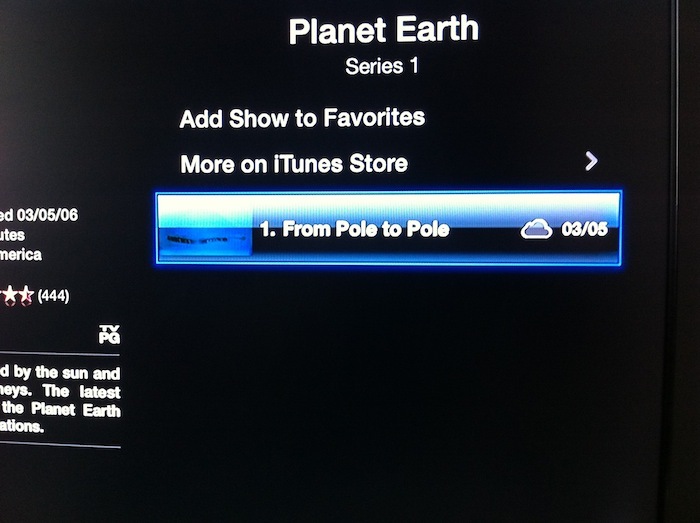 We can confirm the TV Shows streaming feature seems to be integrated with iCloud (as the cloud icon suggests) and it's US-only for now (I had to change my Apple TV's settings from Italy to United States to make the TV Shows tab with "Purchased" option appear).